Traveled to Bloomington, Indiana, for the first MidAmerica Regional Assembly! This entry was posted in 2014, Unitarian Universalism, UU Community Visits and tagged Bloomington, Indiana, MidAmerica14, photo blog, Regional Assembly, traveled, UU. Everyone is up in arms over the new UUA logo. Is it better or worse than the last? More representative? There are even those questioning a phallic representation! I’m undecided. I know that change is good but I also know that I love the history of longstanding logos and rarely like the new better than the old. I’m a little stodgy that way. Maybe the people to ask are those not already associated with UU. See what outsiders think, how they react, since they are our future growth. Just a thought. So to give a taste of what’s out there in the UU world of logos, I scoured the Web to find some of my favorites, not so favorites, and unique twists by both UUA groups and local congregations. *All of the above logos were found at Bing images. 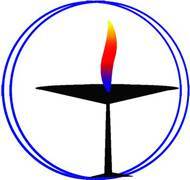 This entry was posted in 2014, Unitarian Universalism and tagged change, congregations, dislike, growth, like, logo, representation, samples, symbol, Unitarian Universalism, UU.